Hoists and lifting cranes to suit many applications as they come in an assortment of styles and lifting capacities. Seating Arrangement for Mobility Vehicles. 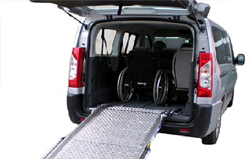 Disability Vehicle Conversion for Wheelchairs and Mobility Scooters, Wheelchair Accessible Vehicle Conversions/Modifications, Lifting Hoists & Cranes for Wheelchairs & Scooters, Wheelchair Docking Stations, Mobility Vehicle Seating and Restraints. 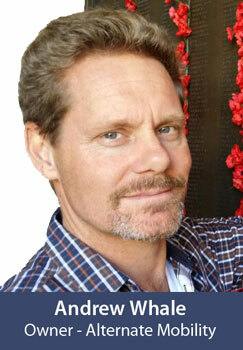 We offer old fashioned Australian values, providing caring customer service and integrity. The team at Alternate Mobility located in Slacks Creek, Brisbane have been involved in the Automotive Industry in Australia for over 40 years. During these years we have provided a diverse range of services and modifications with the ambition to make life a little easier for our customers. Safety is always at the forefront of our minds. From the early beginnings in the 70’s installing seat belts in cars built in the 60’s, followed by many of those being upgraded to the inertia style in the 80’s, to the current installation of sophisticated wheel chair restraint docking stations and access ramps. Our product range and services includes: Vehicle conversion for wheelchairs and scooters, wheelchair lifts, lifting hoists and cranes for wheelchairs and scooters, Restraints and seat belts systems, winches, seating for mobility vehicles, ramps and steps, automated doors, ramps and tailgates for mobility vehicles, custom hand rails and custom flooring. 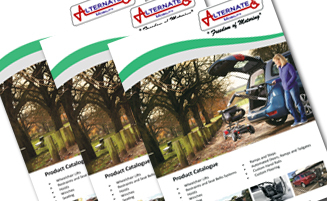 Click to download our Product Catalogue. As Alternate Mobility understands the need for physical comfort and safety, as well as maintaining ones independence, when living with a disability, our company motto is “Freedom of Motoring”. 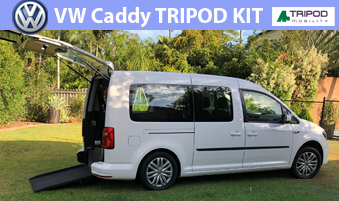 The VW Caddy Tripod Kit is the perfect solution for a family needing to transport a wheelchair. As a vehicle, Volkswagon have a terrific reputation and warranty, with service and repairs available country-wide. 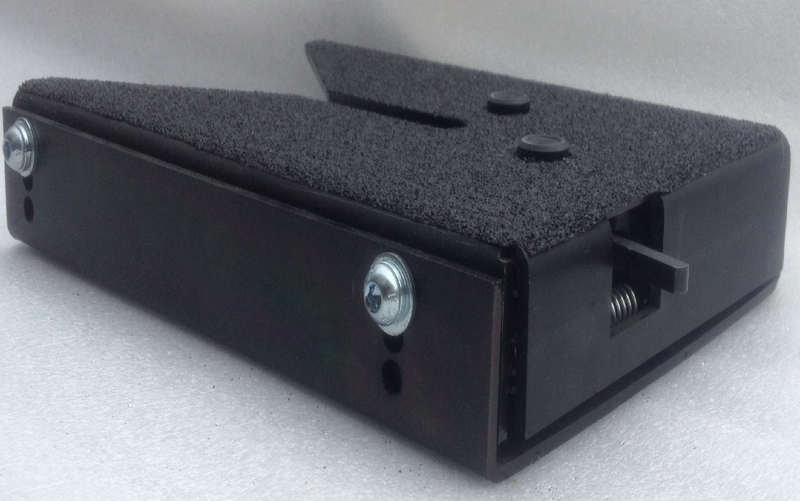 The Tripod Kit main component is Stainless Steel, something that won’t rust or corrode. Alternate Mobility have Hoists and lifting cranes to suit many applications as they come in an assortment of styles and lifting capacities, The storing of the wheel chair or scooter is often a daunting task. 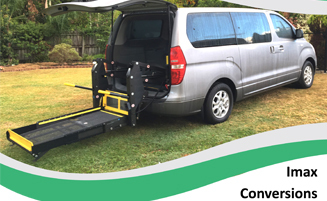 Freedom Motors Australia and Automobility are recognized as a market leaders with their wide range of wheel chair access conversions and they can be tailored to suit almost any need . 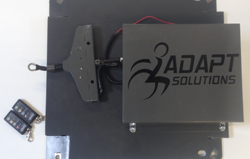 An automated wheelchair lockdown mechanism allows the wheelchair user to ride in comfort and safety . It can be located in various positions ( Providing that seat belts are available). The benefits of a docking station are that the 4 manual retaining belts that secure the wheel chair to the vehicle are no longer required. 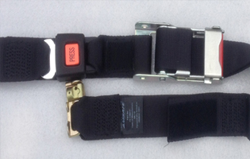 Restraint systems come in a variety of brands and configurations. 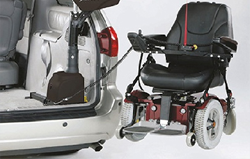 At Alternate Mobility we can source and install either the original unit or adapt another to suit. 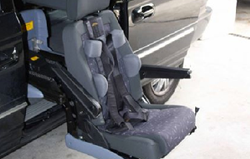 Whether you permanently confined to a wheel chair or have limited mobility entering and exciting the original seats in a vehicle can be some what difficult. Seating devices are available in wide range of styles . Seat belts come in a variety of styles and sizes. For safety they must be kept in a good working manner with out any Fraying or Damage. 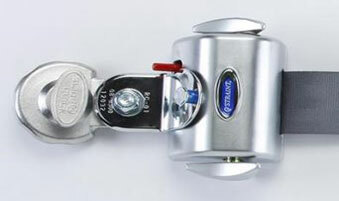 Winches come in a variety of designs and styles. The advantages for the carers is priceless as it takes away the strain of pushing the wheel chair up the ramp. 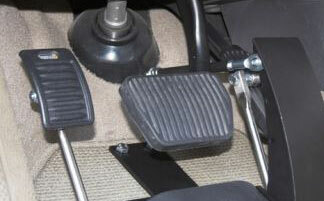 It also acts as a brake whilst exiting the vehicles as they prevent the chair from racing away. 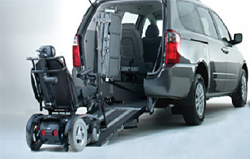 The Hyundai Imax van is the perfect solution for the family needing to transport a wheel chair. As a vehicle, Hyundai have a terrific reputation and warranty, with service and repairs available through- out the country. Layouts can be tailored to suit your specific needs. The most common layout is to remove the original rear third row, allowing space for the wheel chair. 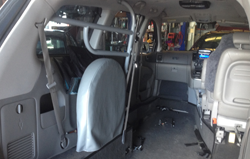 Whether they are an integral part of the initial vehicle modification or an after-market addition Alternate Mobility can help assist with the right solution for you. Depending on the type and style used they are available in manual or electronic versions. 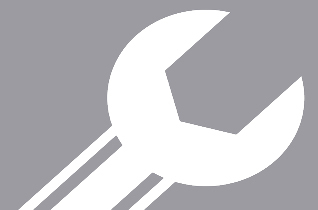 The ongoing Service and Inspection of the modified disability car and accessories is important. to those whom need it. We offer old fashioned Australian values, providing caring customer service and integrity. 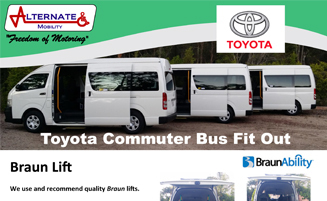 Servicing Brisbane, Brisbane Southside, Gold Coast, Hinterland, Ipswich, Slacks Creek, Logan, Springwood, Daisy Hill, Mount Gravatt, Sunnybank, Sunnybank Hills, Parkinson, Holland Park, Carindale, Wynnum, Cleveland, Manly, Redland Bay, Wellington Point, Logan City, Beenleigh, Browns Plains, Park Ridge, Underwood, Rochedale, Wishart, Brisbane, Brisbane Southside, Gold Coast, Loganlea, Coomera, Shailer Park, Mount Cotton, Carbrook, Loganholme, Tana Merah, Logan, Woodrige, Eight Mile Plains, Mansfield, Beaudesert, Coomera, Hope Island, Burleigh Heads, Tambourine Mountain, Canungra, Yarrabilba, Tweed Heads, Coolangatta, Southport, Helensvale, Runaway Bay, Paradise Point, Tweed Heads and Coolangatta.